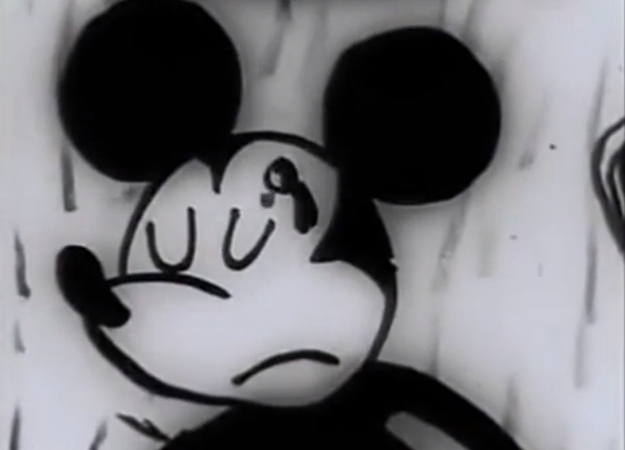 Created in 1968, Mickey Mouse in Vietnam is a 16mm underground anti-war short movie produced by Lee Savage (who also directed) and Milton Glaser. 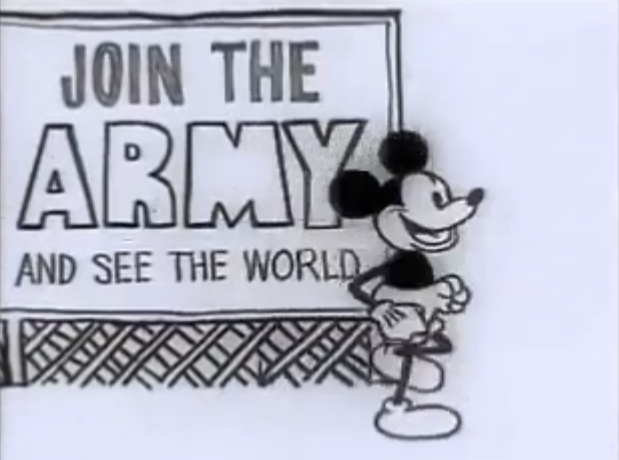 The one-minute unofficial Mickey Mouse cartoon features the iconic character being shipped to Vietnam. Moments after arriving, he is shot dead. The film was thought to be lost for many years until April 22, 2013, when it was uploaded to YouTube. The video has created quite a buzz, quickly popping up on various websites, like Reddit and Vimeo. The co-creator of the video, Milton Glaser is among one of the most celebrated graphic designers in the United States, best known for his iconic I ♥ NY logo. Some of his other well known work includes the 1966 Bob Dylan poster and the DC bullet logo (used by DC Comics from 1977 to 2005). He also founded New York magazine with Clay Felker in 1968. Glaser has had the distinction of solo exhibitions at the Museum of Modern Art and the Georges Pompidou Center. In 2009, he was awarded the National Medal of Arts by President Barack Obama. Recently I had the pleasure of interviewing Glaser, who shared his thoughts on the video and also the history behind it. Did you know the video had gone viral? 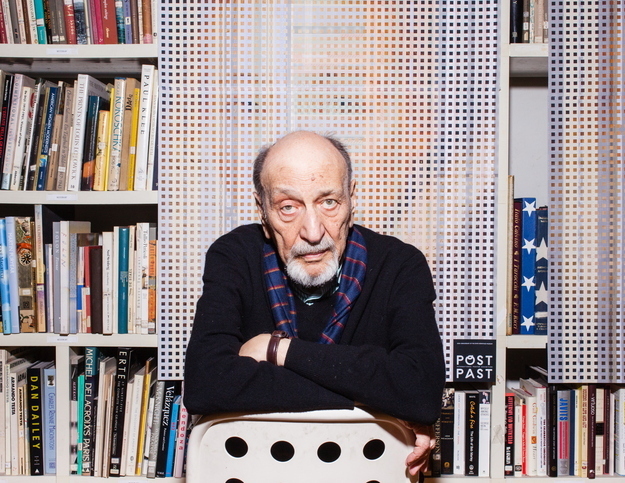 Milton Glaser: No — I did it so long ago. Are you at all surprised that it has all of sudden gone viral in the last couple of days? MG: Well, it’s interesting that it suddenly reappeared, but I suspect there is some resonance about our involvement in the Vietnam War and our current involvement in the Middle East. It seems that there is a sort of meeting point between those two moments in history. What is the story behind the creation of the film? MG: It was for a thing called The Angry Arts Festival, which was a kind of protest event, inviting artists to produce something to represent their concerns about the war in Vietnam and a desire to end it. How did you get involved with, the director, Lee Savage in making this short? MG: Lee Savage was a good friend of mine, and he was in the film business of one kind or another, doing small production films — and with a little experience in animation, and all the things you have to know to produce a modest film the way we did. What was the audience’s reaction when it was screened at the festival? MG: It was very moving — people responded strongly to it. But within the context of many such events and many presentations, it didn’t quite have the power that you experience when you are seeing it in isolation. But it was moving. You know, I was just talking about it this morning, because I have not seen it many, many years. It just shows you the power of symbolism, because in some ways it’s much more powerful than seeing a photograph of dead GIs in a landscape — something about the destruction about a deeply held myth that moves you in way that is unexpected. Speaking of symbolism, is that why you picked Mickey Mouse in particular? MG: Well, obviously Mickey Mouse is a symbol of innocence, and of America, and of success, and of idealism — and to have him killed, as a solider is such a contradiction of your expectations. And when you’re dealing with communication, when you contradict expectations, you get a result. Disney is very protective of their intellectual property. Did you ever hear from them after you screened the film? MG: No… There was some talk about Disney suing us, but I think the consequence of that — everybody realized — would have been negative for Disney and would have no benefit. And obviously no profit was made out of the utilization of the character or the film, so nothing ever happened. Is there any truth to the rumor that Disney tried to destroy every copy? MG: I never heard that before or knew about it until you just mentioned it. Did you continue to show the film after the Vietnam War ended? MG: Lee died a year or two after that, but our intent was to do it expressly for this one event, and that was the end of it. I mean, we both went on, obviously to other ideas and other things. We certainly continued an ideological resistance to war, but we never followed it around or tried to promote or did anything once it was finished. Lastly, had you had a platform like YouTube back in ‘60s, a way to make the film go viral, would you have gone that route? MG: Well, that’s what you hope for, isn’t it? You hope in doing these things that they become visible and public, and up until now there was not a very effective mechanism for that type of occurrence. Now, of course, something hits at an unusual combination of circumstances — something is all of sudden seen around the world in days — and it’s always surprising. One affair I absolutely acknowledge about this watch is this absorbing affection about its bezel. The replica watches ancillary of the bezel itself is actual smooth, but again it has these aloft acceleration tabs which are so simple to use, even if you are cutting gloves. On the affair of fake watches the bezel the little Breitling on the ancillary of the bezel that you can usually appealing calmly see at the eleven or the twelve clock position, is usually a appealing acceptable way of getting able acquaint whether or not the watch you are ambidextrous with is a fake. With the newer Chronomat Evolution and Steelfish Breitling replica pieces though, this detail is maintained so it makes it a little bit harder. If you analysis out the SuperOcean Steelfish up close, you’ll see that in its accomplish there are eight actual actual little screws captivation it together. If you abolish those screws you can again yield off the bezel and again the ratchet ring can be manipulated so that you can accomplish the movement tighter or looser. But if you are aggravating to do this to rolex replica your replica, all I can say is be accursed careful, because it’s not that easy, and you can lose one of those little spiral guys cool easily!